Berkeley Homes East Thames raised £45,000 for Demelza children’s hospice on Friday 9 September when it hosted its annual five-a-side football competition. Elements Europe was just one of the 34 contractors that entered a team for the tournament which took place at the Powerleague Venue, overlooked by the iconic Wembley Stadium. Lee Marley, based in Maidenhead, went on to win the cup by beating Copley Ceramics in a thrilling penalty shootout. 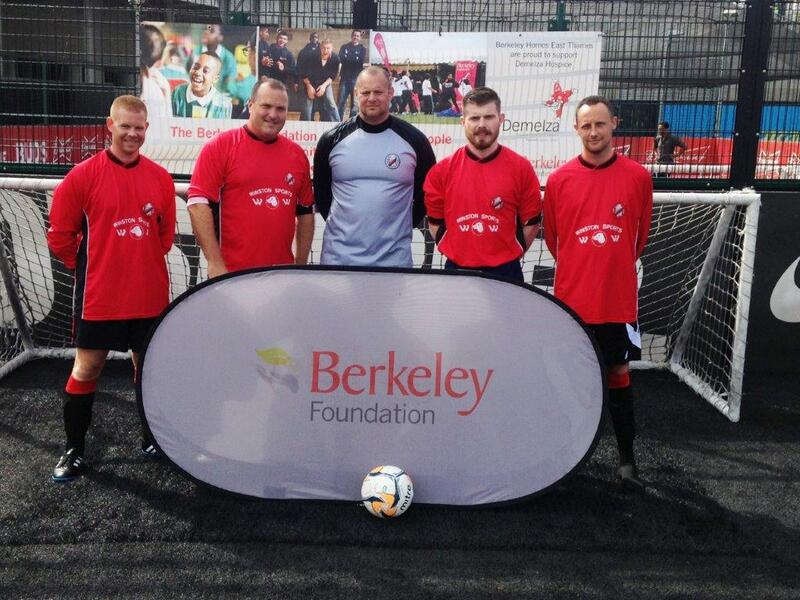 Karl Whiteman, Divisional Managing Director for Berkeley Homes East Thames said, “Each year this popular football tournament enables an enormous amount of money to be raised for Demelza. The specialist type of care they are able to offer really does make a difference to the young children and families who are affected by life-limiting illnesses.